Yes, I’m talking to you. If you’re still sitting on the sidelines, wishing, wanting and waiting to get into the property market, you’ll never succeed as an investor. Why? It’s simple. You have to be in the game to win. You’re not alone. In fact, you’re in big company. 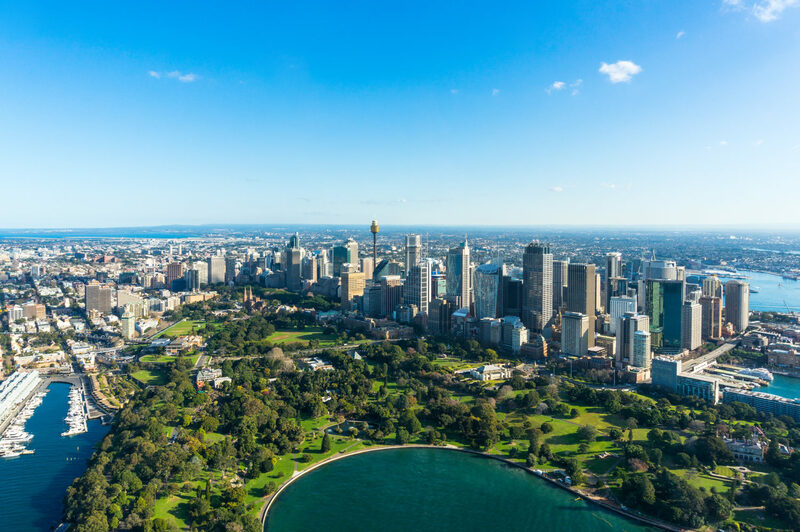 Despite Australia’s well-known property obsession, only a handful – just 1.8 million Aussies or around 7.5% of the entire population – have actually taken the step towards property investing. That’s a massive 92.5% who aren’t investing. Why? There are a number of factors, but the biggest challenge for most aspiring investors is to actually get started. That’s simply because when it comes to doing something that requires a massive effort and leap of faith, such as investing in property, most people will come up with all the excuses under the sun to avoid doing it. It’s human nature. “Whether it’s going to the gym, losing weight, buying a property or even trying to save a thousand dollars, everyone has an excuse not to do it all the time,” says buyer’s agent and property expert Chris Gray. “People are unsure and because it’s such a large sum and action, they need confidence to do something. But even when things are lining up such as the current low interest rates and now easier-to-get finance, they’ll still come up with excuses for not taking action.” While Gray and our other experts don’t advocate rushing in, it’s important to be aware that you could be making these excuses to avoid getting into the property market even if you know it’s the right thing to do. Are you still making these excuses? Another common excuse for beginner investors is the lack of knowledge and not knowing how to get started, according to Solano. “People don’t know what is a good investment and what isn’t. They’re not confident they’ll choose the right property for them,” says Solano. The good news is, there are now so many resources you can tap and they’re free, such as this website. Property buyers are also invaluable in helping you navigate the market. Let’s face it. Fear of failure is a big challenge for a lot of people. If you fail, you could lose a big chunk of your nest egg. This is not an easy hurdle to get over. As someone who struggled with fear of investing for a long time, I can speak from experience that most of the fears that you might have can be mitigated and they’re often worse in your head than in real life. You just need to identify what you’re afraid of. For example, if you’re worried about buying a poor investment, then you can either employ a buyer’s agent to help you out or get educated about the market. It’s also worth noting that property remains the least risky investment asset compared to other asset classes. It’s forgiving, as long as you give it time. Even if you bought an underperformer, you’re unlikely to lose money as long as you hold it over the long term. Another overused excuse is the idea that you need to be rich to invest in property. The truth is, while you need a deposit and buying cost to start with, you don’t have to be loaded before you can invest. Lenders are looking for borrowers who can afford to pay off their loans but who can also manage their cash. So if you’ve been consistently saving and investing most of your income, you’re likely to get approved for a loan compared to those earning more money but have little savings or investments to show for it. “Let me put it this way, if you go to a car dealer and purchase a $50,000 brand new car, your repayments could be around $110 per week. If you can afford this, you can afford to own an investment property. I can say from personal experience that my investment properties don’t cost me $110 per week. They make more than that in cash flow and in capital growth,” says Solano. If you’re just starting out, property investing may seem daunting. There are so many concepts you need to learn in a hurry. You need to understand how the property market works, plus have a good grasp of the various mortgages and strategies available. And then you need to find the area to buy in, and choose the right property. The key to avoid getting overwhelmed at the start is simply to break it down says Gray. “Just like everything, you just need to break it down into little steps and do one thing after the other,” Gray advises. There are plenty of books and websites telling you how to do it. So rather than tackling 20 steps and getting overwhelmed and frustrated, just do the first one. Once you’ve done that, do the next one. “Just like running a marathon, you need to learn to jog a kilometre to start with. Then do two or three kilometres. Before you know it you’ve done the full 42 kilometres,” says Gray. It may take you six to 12 months to save a deposit, but the sooner you get started, the faster you will gather it. While you’re waiting for your savings to grow, use this time to immerse yourself in the market and learn everything you can. No knowledge is ever wasted. By the time you’re ready to buy, you’ve learned enough to be able to do it yourself confidently. No matter how many steps are required, just keep taking the next step. Don’t get bogged down with the thought of so many steps ahead of you. Just get on and start saving and once you’ve done that, take the next step. Learn the next concept.